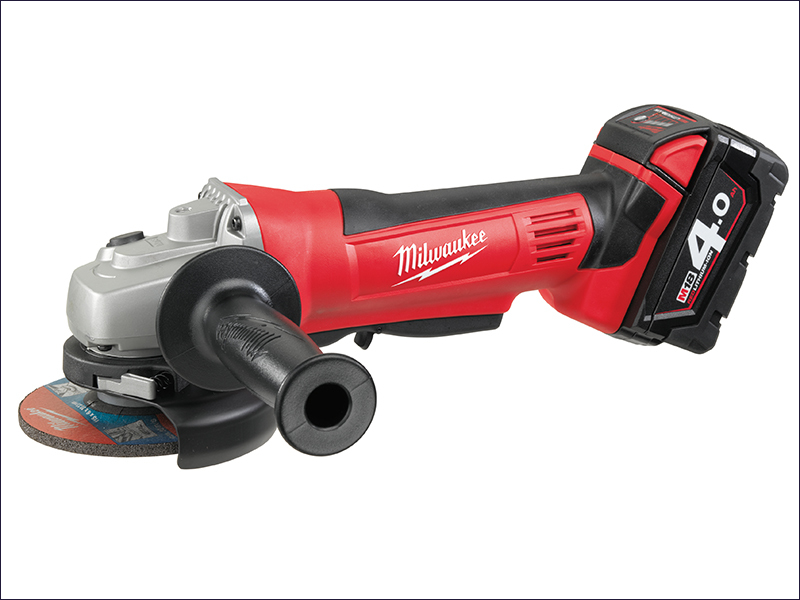 The Milwaukee HD18 AG 115mm Angle Grinder has Milwaukee's high performance 4-pole motor to deliver maximum power whilst optimising the power to weight ratio. The angle grinder has a full metal gear case for heavy-duty durability. REDLINK™ overload protection electronics in both the tool and battery pack deliver excellent system durability. The reduced height of the gear box and slim girth design provide optimum ergonomics for comfortable use. An exclusive paddle switch design and multi-position side handle help improve ease of use. No Load Speed: 9,000 /min. Supplied with 2 x 4.0Ah Li-Ion batteries, charger and kitbox.